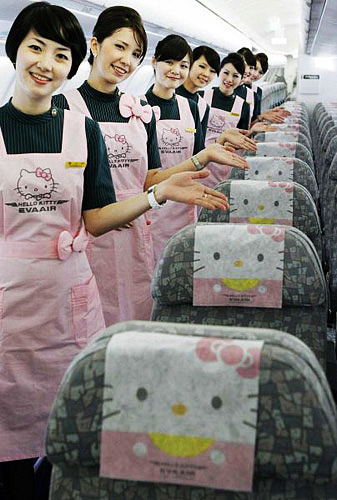 As some of you might know, I have a day job as a flight attendant. Sorry for the lack of posts this week dear followers, my day job has kept me preoccupied. 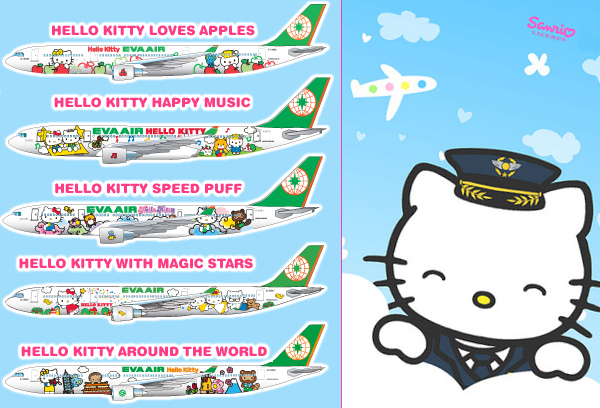 With all things airline on my mind, I just had to share with you the MOST KAWAII AIRPLANES EVER : The Eva Air Hello Kitty Jet family. 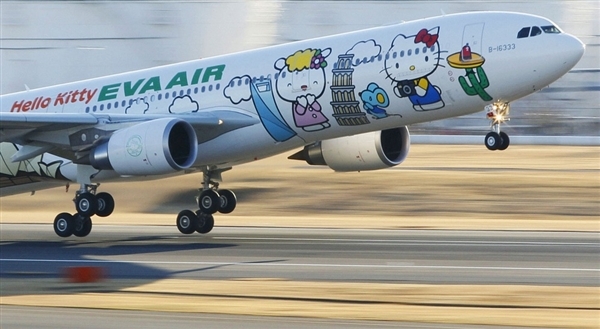 This family of jets consists of 6 jets, that are all decorated with different themed Hello Kitty livery. 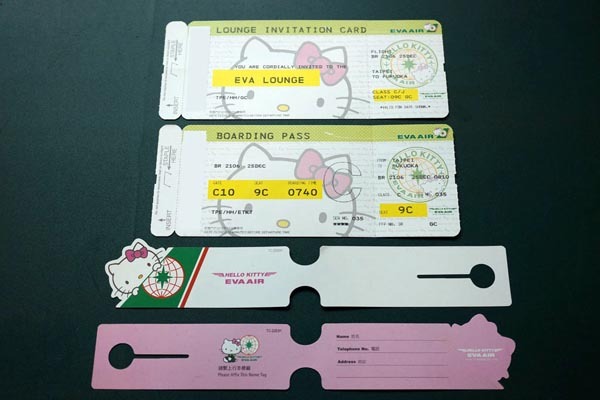 The Hello Kitty experience goes even further with boarding passes, food, kiosks, and aprons for the flight attendants. 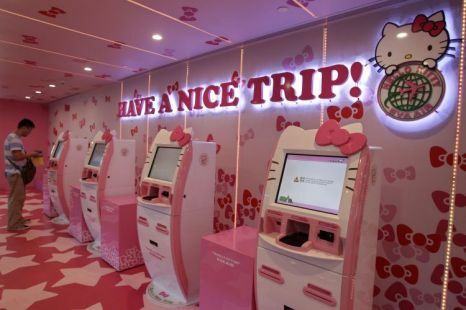 A dream come true for anyone who wants to live in a Hello Kitty world. 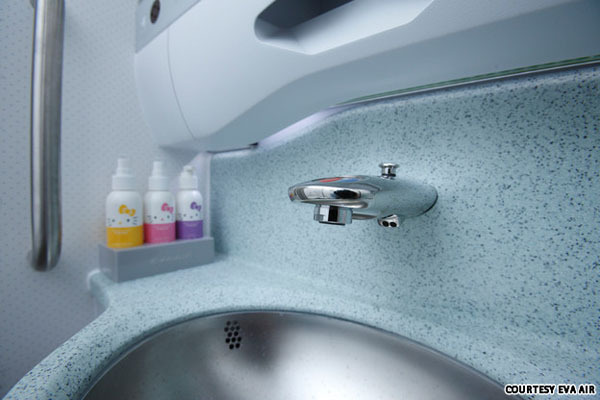 I hope one day I will get to experience these jets for myself!